NBC News: "Mormon bishop dresses as homeless man to teach flock a lesson"
There's a rumor running around that this kind of incident is just a rumor. While there have indeed been some fake stories about this kind of thing, there's also at least one real incident of it occurring, and this is it. This does not surprise me. The part about how it was the children who showed the most compassion especially does not surprise me, because they are too young and innocent to have become jaded and cynical. Apparently, those are things that we learn, and are not born with. I often at least say hi to homeless people, and I have bought them food on several occasions. But I never give them money. Also, when the same homeless person begs for money in the same spot every day for a really long time, sometimes I do eventually ignore that one person. Also, I know that there are people who are just pretending to be homeless too. If someone with clean clothes and good teeth who doesn't smell, shows up at the same place every day asking for money, I don't think that person is actually homeless. But then I guess I shouldn't make assumptions like that. 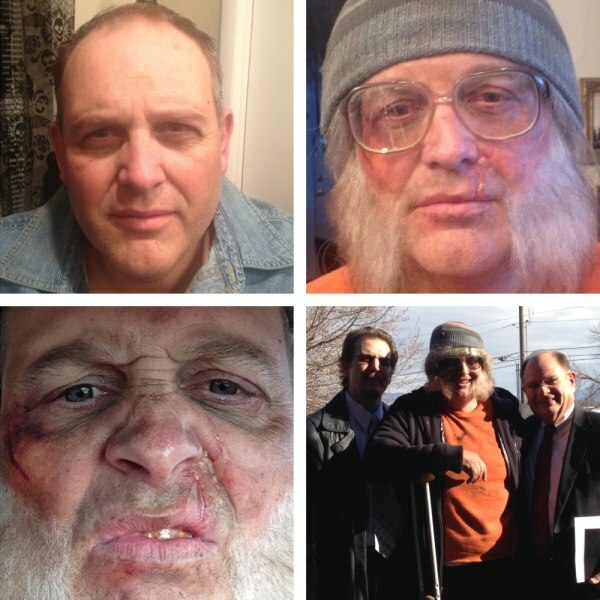 Re: NBC News: "Mormon bishop dresses as homeless man to teach flock a lesson"
And yet you spend years of your life trying to discredit people you've never met online. Maybe spend more time doing good deeds instead. If this is real (unlike the discredited urban legend reported elsewhere), it certainly demonstrates the need for proper organization in this group. Aside from the lack of congeniality displayed by some, it would appear that they lack the structure to handle situations such as this. If the group had a diaconate, the person should have been invited to come in for the service and to meet with deacons afterward (unless the person is fainting from lack of food, in which case the hunger issue would have be immediately addressed). The deacons would find out the person's situation and assess their immediate needs, address spiritual issues (which usually are the root cause of the person's problems...at least, in my experience) and stress the importance of church attendance & affiliation, and then provide the person with food (either from food stored at the church for that purpose or to take the person to a grocery store). This approach couples the primary mission of the church (feeding the soul) with the secondary mission (meeting physical needs). What the bishop should be concerned about is why his group doesn't have officers who respond to these situations. Don't know what the Book of Mormon says about deacons, charity, etc., but the Bible (which, purportedly, the LDS group recognizes if only nominally) has a lot to say about those things and how to deal with situations such as the one presented. An orderly approach from those who are experienced enough to discern between real needs and scam artists is the best way to meet the biblical charge of mercy while avoiding the problem of enabling those who could help themselves. The biggest challenge is to avoid becoming cynical after witnessing firsthand the many "needy" people who should be self-sufficient but who rely upon others to meet their wants. It's disheartening to want to help people only to see them comfortable with living a life of allowing others to pay for their habits. We've counseled 'needy' people who drive new cars, live in very nice apartments yet get government subsidies, have big-screen tvs, cell phones, high speed internet, etc. and who drink Starbucks coffee...all while calling around to get nearly every bill paid. It's sad. Mormon chicks are freaks in the sack when they're no longer part of the church. He tried it with his church and in two hours was given $20 and some food. Not that bad. I know of some churches where he would have gone empty handed. Not surprising a guy whose survival depends on his "flock" would encourage this sort of behavior. I'm sure he would like them to be very generous. Would you say most of the homeless from your experience were lacking spirituality, or were they mentally ill? I saw this guy and I immediately called him out as a fake. Everybody knows that real homeless people drive a gold Cadillac and eat fine lobster, and he was doing neither. I'm just happy someone finally did this so we can quit linking to snopes. The LDS priesthood structure has deacons, but they are 12 and 13 year old boys.